The Easter Bunny has already visited us here at Kelly's! 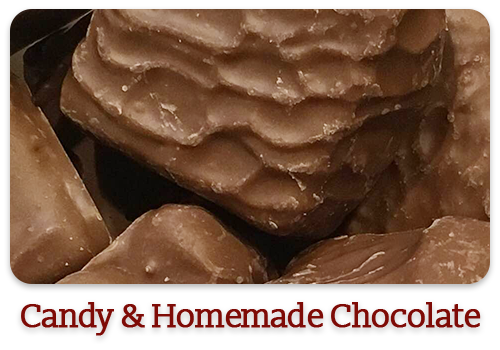 Come and experience all that we have to offer and select from the largest variety of molded chocolates in WNY! ! 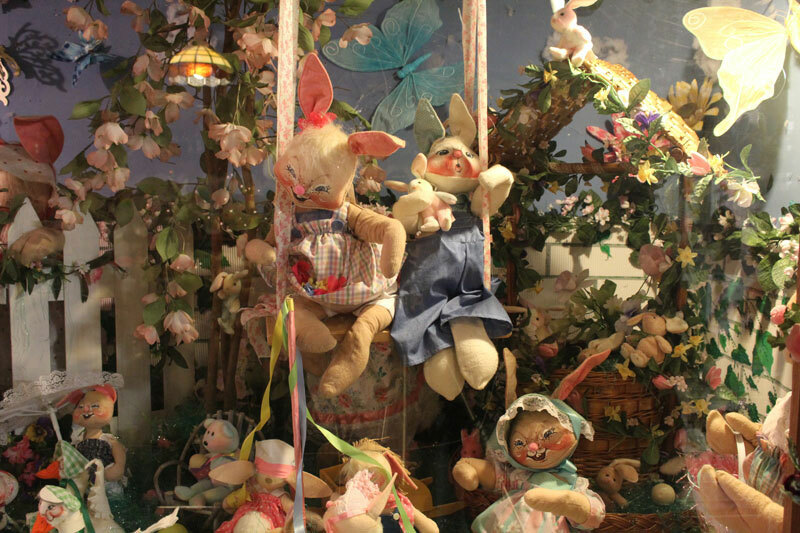 Hop in to see the Easter Bunny! 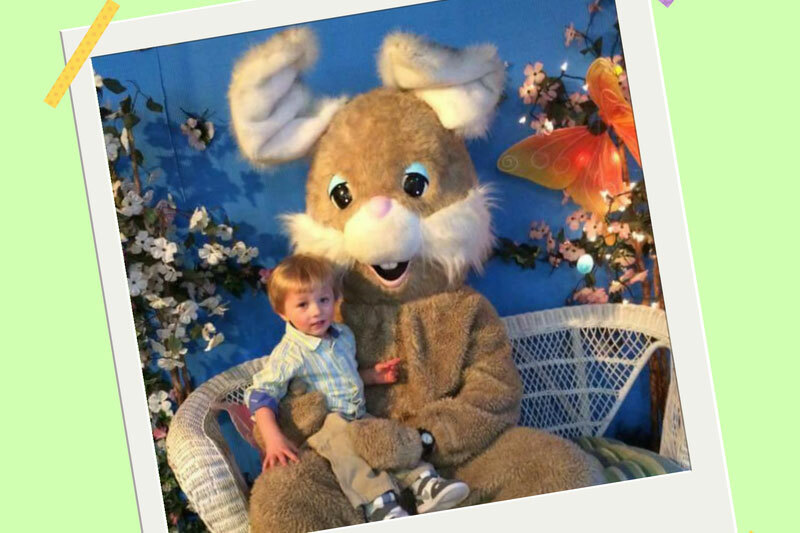 The Easter Bunny will be here every weekend up until Easter from Noon-5pm! During Holy Week the Bunny will here Mon-Thurs 4pm-8pm and Friday & Saturday Noon-5pm! At Easter time, we’re always at the Broadway Market! Stop and see us at our booth. With hundreds of chocolate molds, you can make an Easter basket as unique as the recipient! Not a chocolate lover? We have plenty of other unique candies to choose from. Check out our Easter room for décor, unique chocolate molds and basket stuffers. At Easter time, we’re always at the Broadway Market! Stop and see us at our booth. There’s something truly special about Christmastime. Visit us and you’ll see why it’s our favorite time of year. 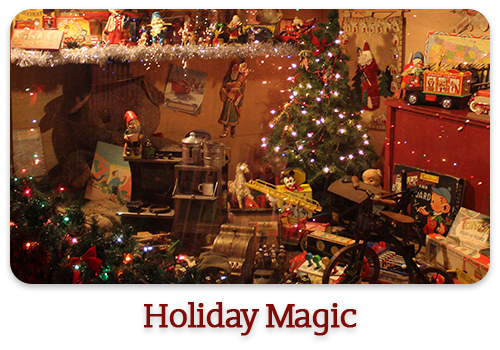 With two rooms in store dedicated to the holiday, you’ll feel the magic of Christmas come to life. 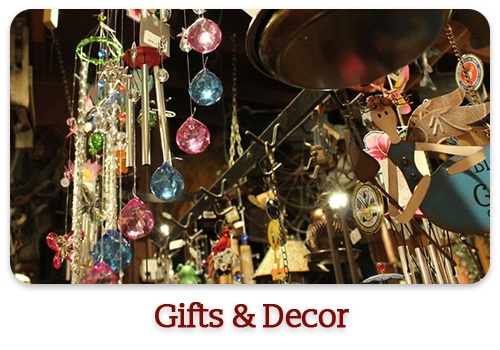 Start in our décor room, where you’ll find hundreds or ornaments, decorations and gifts. Then, take in the wonderment of Santa’s room, adorned with antique toys, thousands of lights, Christmas trees, and Santa’s throne. 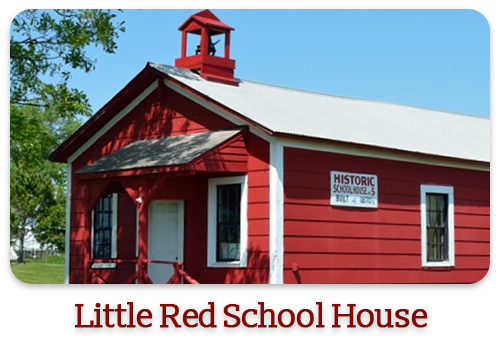 The rooms are set up by July; so if you start early, join us! 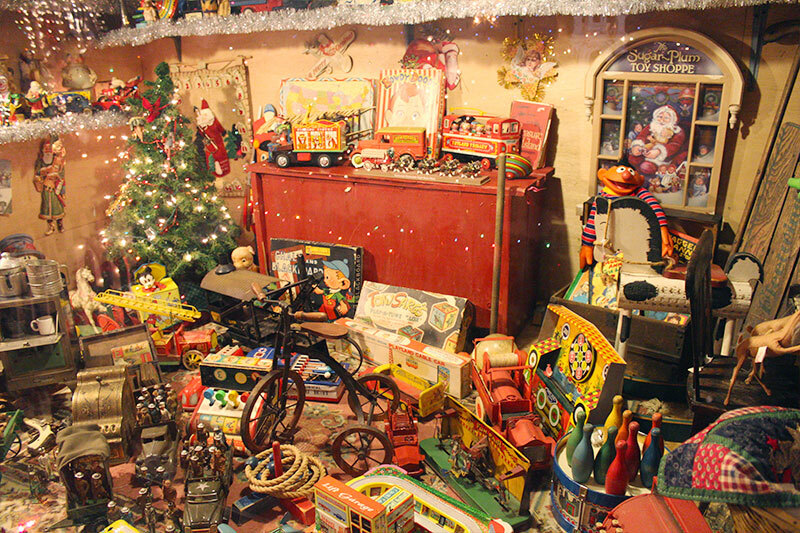 The day after Thanksgiving, Santa comes down the chimney in our awe-inspiring Santa room. 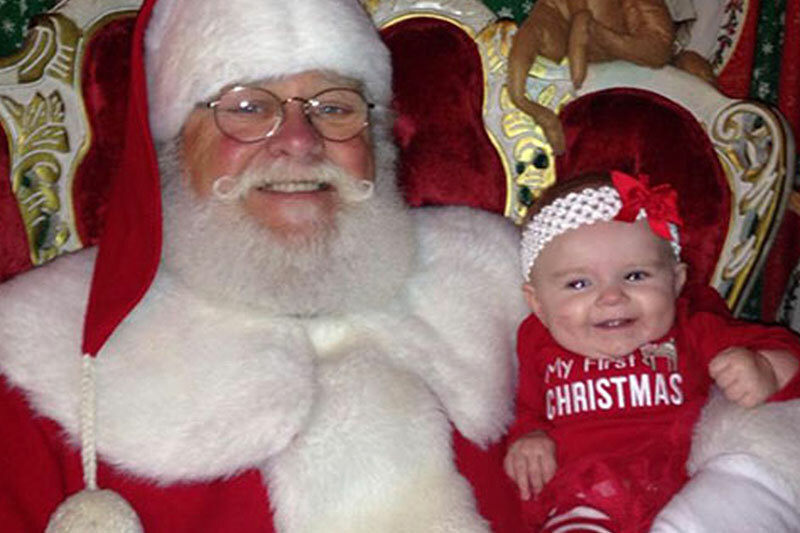 Bring your children or grandchildren in to meet Santa, Mrs. Claus (maybe even an elf or two!) and snap your own photos for free. No camera? No problem. We can take a photo and print it for you for just $5. 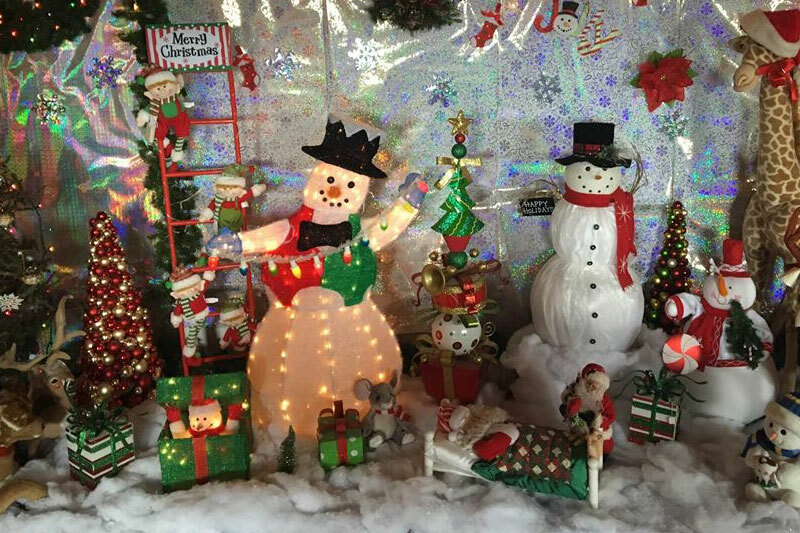 Watch our Facebook page for Santa’s hours and other special holiday events. On days when lots of other children are visiting us to see Santa, we’ll use a text paging system so you and your little ones can avoid standing in line. Stop at the hostess stand and leave your phone number. We’ll text you when it’s time to get in line, shortening your wait. Feel free to roam the store or grab a bite to eat while you wait. As a proud military family, we hold our service men and women dear, especially around the holidays. 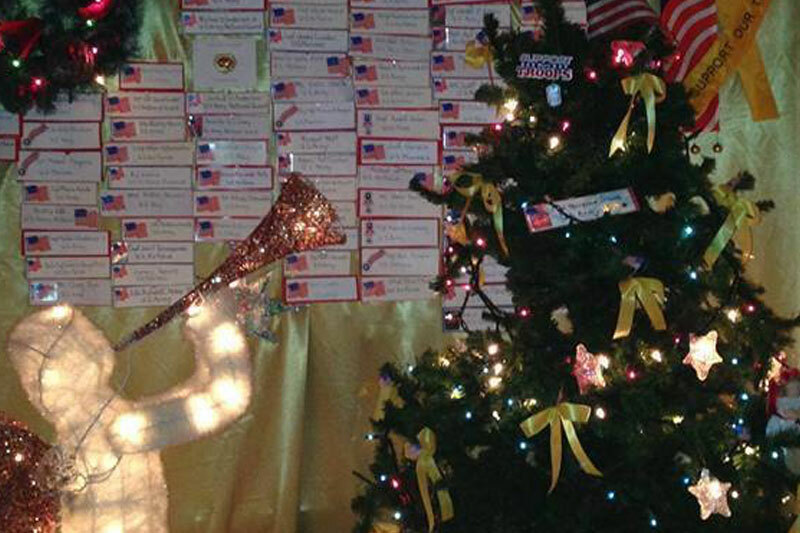 To honor active duty and veterans, we’ve set up a special tree dedicated to our troops. To have your family member or friend added to the tree, call or stop in and let us know his or her name and branch of service. We’ll create a special tag to hang on the tree. 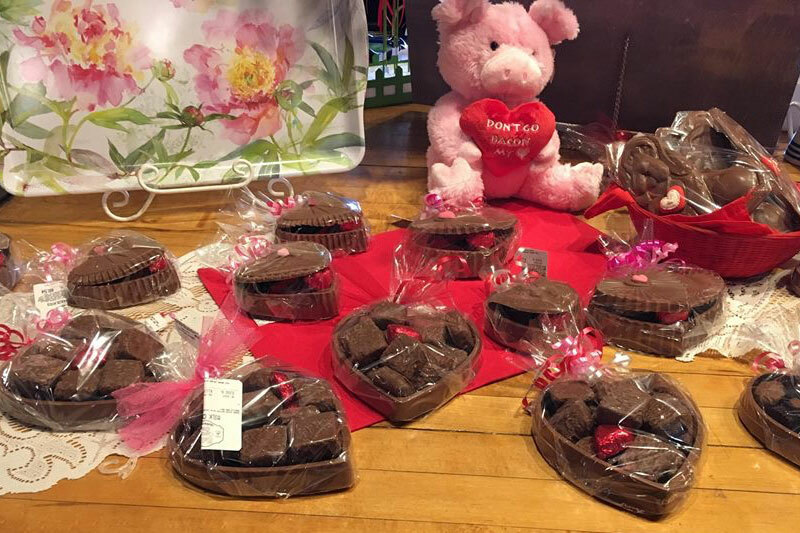 If the way to get to your Valentine’s heart is through chocolate, we’ve got you covered. We offer custom write-on chocolate hearts for $8.98 each, plus specialty boxes and chocolate hearts with more edible chocolate inside. Does your sweetheart’s sweet tooth crave non-chocolate treats? We have hundreds of candies to choose from plus other unique gifts. Annual Fall Festival – Fun for the Family! Send off summer and welcome fall by joining us for our annual Fall Festival on October 13 and 14. Enjoy a weekend of live music, tasty food and activities for the whole family. 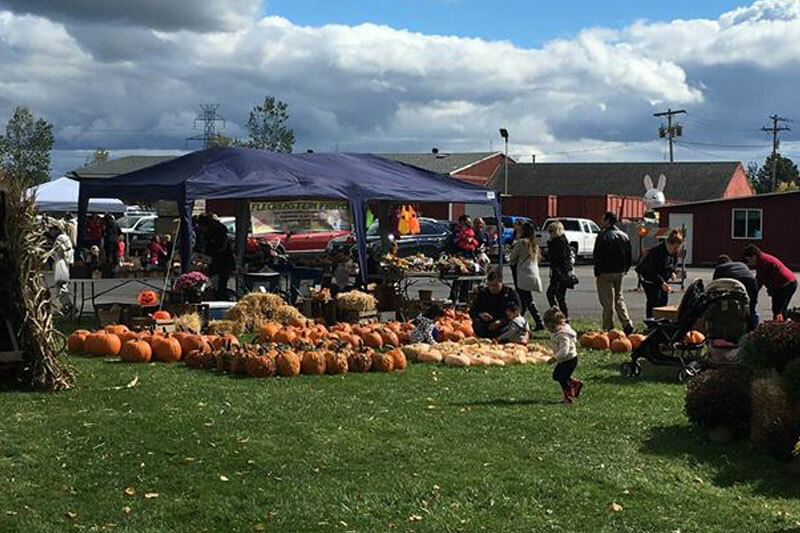 Pick up pumpkins, fresh fruits and vegetables from our local produce vendors.